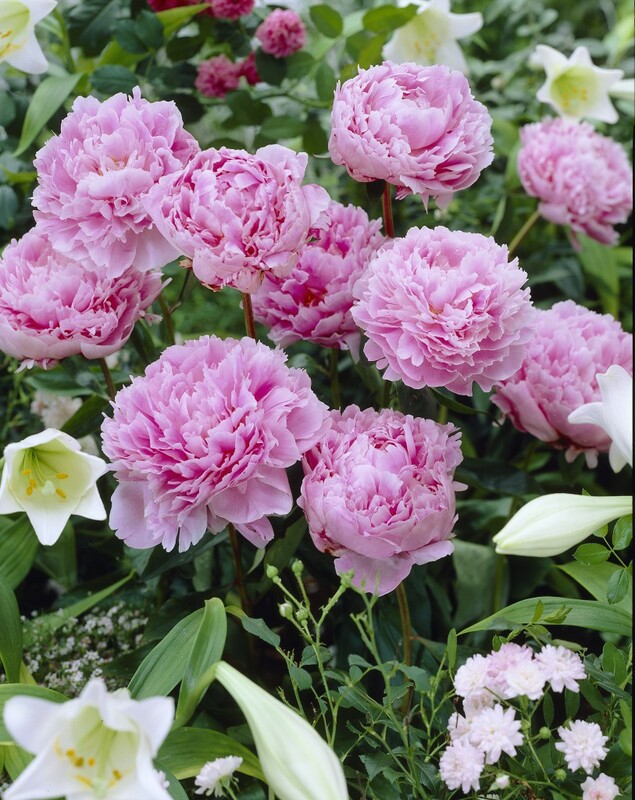 Plant in deep, well-drained soil enriched with plenty of well rotted manure or compost in full sun. In warmest areas, shade the plants from intense summer sun. Thrives in areas with long, cold winters and mild summers. Plant the fleshy roots so that the eyes are no more than 1-2″ deep. Support plants and their heavy blooms with hoop-type stake. You may notice ants on the flower buds; it is a symbiotic relationship and does not hurt the plant. Water deeply in periods of drought.